At the turn of the 20th Century, more than a hundred thousand Iberian lynx roamed the cork woodlands of southern Spain and Portugal. However, over the following hundred years, a combination of loss of habitat, hunting and lack of prey had a significant impact on the population. The number of lynx plummeted, and, by 2002, less than a hundred survived in the wild. Miguel Angel Simon was one of the first people to realize that something had to be done to save this iconic cat. “The first time I saw a lynx in the wild I was with my father. I was 14,” Miguel recalls; “it was such a beautiful animal.” Now he helps lead a dedicated team of hundreds of scientists and conservationists, from across Spain and Portugal, all pulling together in a ground-breaking collaboration. The lynx has become a species in intensive care. La Olivilla was one of the first breeding centers to be built and opened in 2007. A breeding center was built, with the aim of releasing captive-bred lynx back into the wild to bolster the wild population. 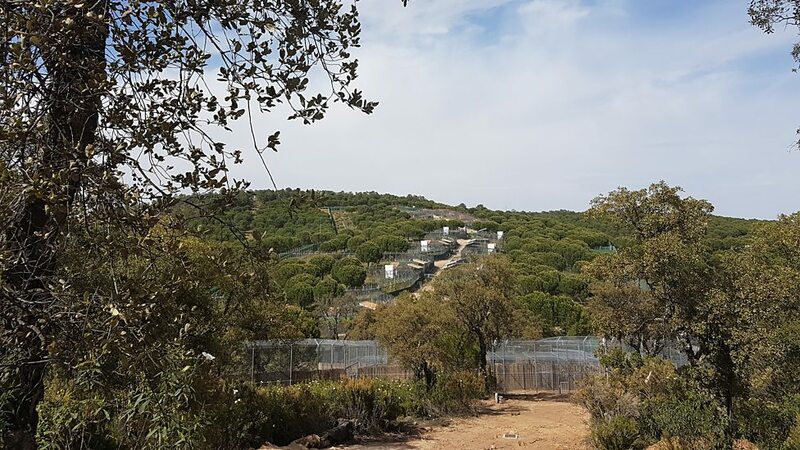 Now five of these state-of-the-art facilities exist across Spain and Portugal, each releasing multiple lynx every year. The centers are equipped with the technology of a high-security prison – the teams monitor every lynx 24 hours a day, via a network of security cameras. 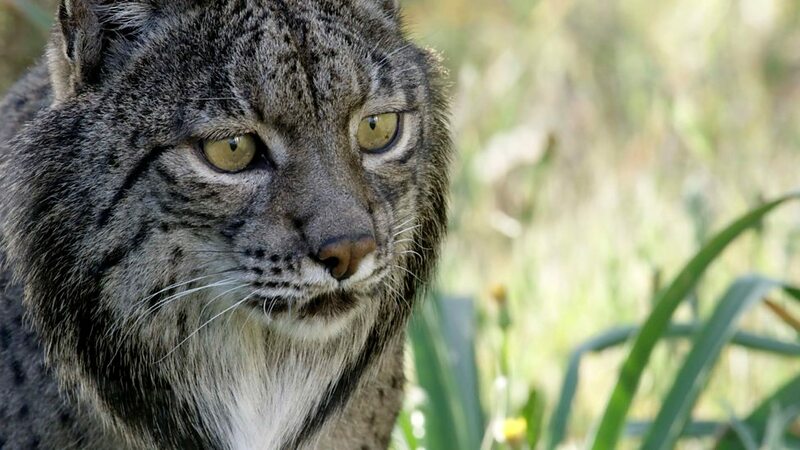 The scientists here need to make sure nothing happens to any of the cubs – every young Iberian lynx is precious. The adult lynx and their new cubs are monitored 24 hours a day. Vicky Ascensio, veterinarian, and Francisco, director of El Acebuche and Zarza de Granadilla breeding centers, watch the camera feeds. After a year of monitoring, the lynx will undergo a final health check with the veterinary team. Here they will be examined for any illnesses before being fitted with a radio collar which will allow them to be monitored by researchers after their release. 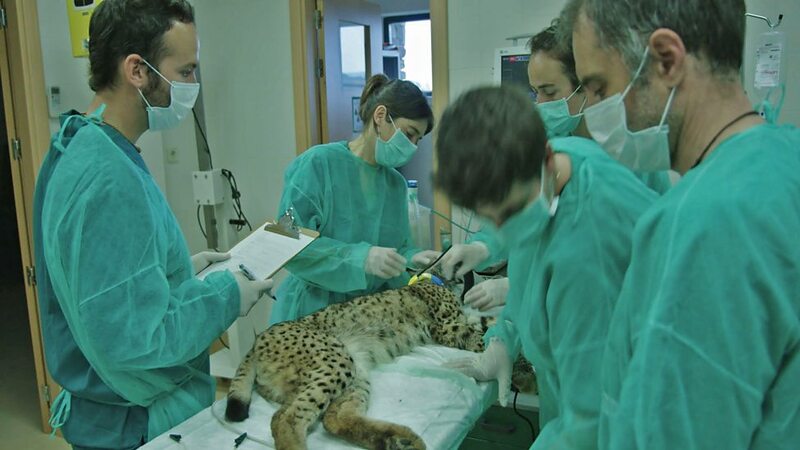 Vicky Ascensio and her team perform the final health checks on a young lynx before it’s radio collar is fitted and its released into the wild. Release day is a big event for everyone involved. Hundreds of people gather, from scientists and politicians to children from the local schools. Miguel and Vicky look on as a captive bred lynx is given its freedom. A release is a happy and symbolic moment, but the project’s hard work doesn’t stop there. Reintroducing lynx into the wild can only succeed if the habitat is in full health. As well as tracking and observing the collared lynx, scientists have made extensive efforts to protect the land that they need to live in. One of the most vital factors for a thriving lynx population is a booming rabbit population. Rabbits are relocated to boost dwindling populations. Despite the well-known idea that rabbits are prolific breeders, a deadly virus called Myxomatosis, introduced to Europe in the 50s, decimated the rabbit numbers. 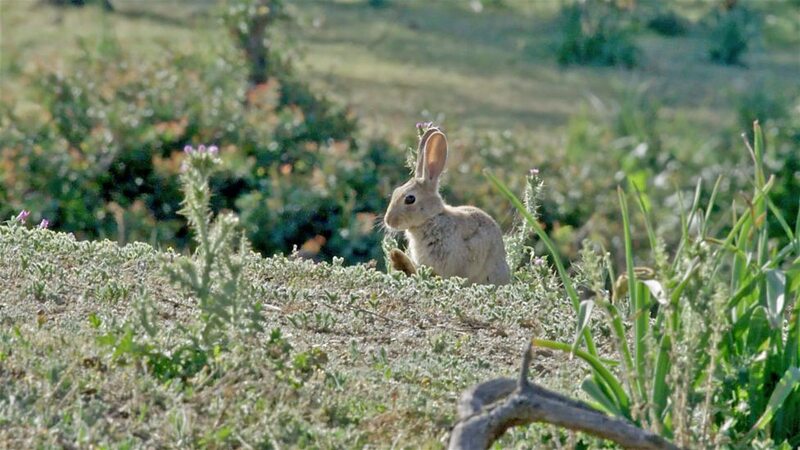 Now, the lynx conservation team relocate rabbits from over-populated areas and, even breed rabbits to establish new populations in areas where numbers are critically low. Rabbits make up over 80% of an Iberian lynx’s diet so they really can’t live without them. With an all-time high of 40 cats released into the wild in 2017, the wild population is now estimated to be nearly 500. Thanks to the collaboration of hundreds of dedicated people, this iconic Mediterranean cat has been saved from the brink of extinction. The project has been deemed one of the most successful reintroduction programs of all time and a perfect example of what people can achieve in protecting our planet’s cats.